A chance to create an individual space that is all you! The list of reasons you’ll love having your own website could really continue for hundreds of items. The only answers I can think of are cost, time, or techno-phobia (fear of the technology). Your own website, hosted on a paid hosting account (rather than a free account such as blogger.com) offers you a list of advantages so long that I think if I wrote about them all, you wouldn’t finish reading this post till next week. We set-up our own websites shortly after Kim started selling on Etsy and have learned the whole thing from scratch. It can be a lot to learn, depending on how far you want to go with it. But that’s the point! You can go as far as you want! You can build a professional blog selling advertising, products, downloads, etc. You might find out, like we did, that the blog becomes as big a part of your business model as your actual store is. You can extend your own site to have your own selling platform. One day you may become large enough that you would prefer to sell everything from your own site, rather than on Etsy. You may come up with an idea of a web-based service you can offer your customers via your own site. You might develop an app of some sort. The point is that when you have your own website, you look more professional now and you open up unlimited options for the future. No website, or a free hosted website, simply don’t offer that kind of future opportunity. What About Starting Off With Free Hosting? Since the cost of having your own domain and website is so low (about $10.00 a month) it’s not worth the effort to build a whole blog at free hosting and then move it later. There is lots of talk about “how easy” it is to move a site. It’s really not. It’s easy to move content, but not at all easy to move the look of your site, the arrangement of your site, or the content of your sidebars. It’s also not great from an SEO standpoint to move your site. 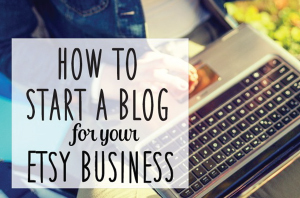 If you’re looking to build a long-term business online, then there isn’t really an option. I’m not trying to be a know-it-all here. I’m just trying to be someone who has been there and helped lots of others who have been there. Just someone pointing out the easiest and best path to where you want to go. If you don’t have your own website hosted on a paid hosting account, and you really are serious about building your Etsy business long-term, then you should do exactly what I would do if I was in your shoes right now. 1. I would go to Bluehost.com and sign-up for there least expensive hosting (less than $5.00 per month!). If you start a new shop, you buy the domain. If it grows, you’re ready to go. 2. Once I had the Hosting Account Set-Up, I’d install WordPress. 3. Then you start learning! It takes a little bit of effort to learn all of this stuff. Or you can hire people to do it for you. My advice is that if you plan to build your business up over time is to just take your time and learn it yourself. We make changes every single day on our sites. It would cost a fortune to pay someone to do it all. It takes time to learn, but the knowledge can never be taken away. You’ll always be able to make your own changes and once you learn “how to learn” online, you’ll be able to figure out anything you want to do. I’m so sorry if this is over-simplified. I’m just offering by best advice without going into pages and pages of detail. I hope you find it helpful. Disclosure: When we purchase a product and find it helpful (such as Bluehost) we often look to see if there is an affiliate program. When there is, we sign-up for it because we know we’re going to recommend the service or product anyway, we might as well get a commission. Affiliate commissions is part of how we support Etsypreneur and Everything Etsy, so we appreciate you clicking through our links when you buy these services. It doesn’t cost you any extra. I am very glad I finally made the switch and started my own web store. While I still love Etsy, I am in love with the control I have over my own site. I can tweak it to fit my own brand, and I can build up my list of e-mail subscribers from my customers (something not allowed on Etsy.) Most importantly, when I direct others to it – there isn’t an abundance of links (or a search bar) that takes them right out of my store and into someone else’s. While I still plan on maintaining a presence on Etsy, I’m scaling back my efforts there and funneling them into my new site. It’s a very exciting process, and I’m learning a lot. I can’t believe I waited as long as I have before finally jumping the gun. I have been floundering a bit on Etsy and I decided to follow your advice and get a Hostgator website thing going. I look forward to putting it all together. It is nice to have a recommended site from someone who has used and approved a company! Thanks a bunch! Just getting started, trying not to be discouraged- started with free blogspot blog, get little interaction and have heard blogspot isn’t set up for that. However do get LOTS of views. Am rethinking business name also, should I just abandon blogspot and start over? I really appreciate the reference to a hosting co, there is soooooo mich info out there, like I said trying not to be discouraged/overwhelmed! Okay… so for wordpress self hosted blogs, i have a question… the person who did the original set up on my wordpress/url/whatever it’s called stuff… the place where my files and blog are STORED? the server stuff? They gave me three email options…. but i hate them ALL… is there something more.. i don’t know… less antiquated for email than squirrel or roundwhatever, and horde… i detest the looks of them and they’ve been incredibly difficult to use when trying to check my emails… 🙁 And I personally think that melle@featheredruffles.com looks a lot more… stable and professional than just a free gmail account. (tho i did also snag up the yahoo and gmails associated with my business/blog name so that i don’t have to worry about someone potentially snagging them and attempting to hack my stuff. (which i know is remote, considering that i’m so small still.. but i’m stubborn and in this for the long haul so EVENTUALLY it will pay off and it WILL become a possibility that someone would want to hack me. LOL! anyway. to weed out my rambling… looking for an email platform OTHER than horde, roundcube or squirrel mail. they just aren’t user friendly OR attractive and easy to use/look at like gmail and/or yahoo. When you email Kim or I at our @everythingetsy.com email address, that goes to our gmail accounts. When I send an email from gmail, it rarely goes out showing an @gmail.com address. Instead, I select the address I want to send from (I have one for every website and one from my internet provider) In other words, just because you’re using gmail (or Yahoo!, or Outlook.com, etc.) doesn’t mean you have to use that address for your emails. You just have to set-up the account to send and receive for your other accounts by using the correct server settings and passwords. I would google something like this: “How to set-up my website email in gmail” YouTube search might be better so you can get a video. It’s not hard but does involve quite a few little steps. definitely something to consider and something i’ve thought of, although a bit daunting. as a WAHM, i find it a lot of work already to try to just maintain and Etsy shop and FB page. Hi great advise. Like you said, your own site needed be a a stand alone site. 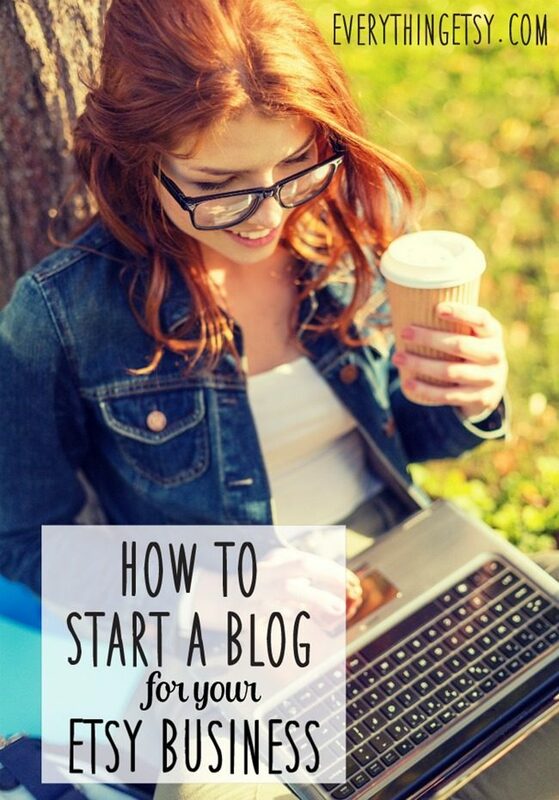 A blog is a good start. I would also recommend http://BlueHost.com . It offers great built support for WordPress and well as shopping carts, galleries and more. A self hosted WordPress blog becomes as easy as Blogger with no FTP or CSS info needed. What is FTP or CSS.? 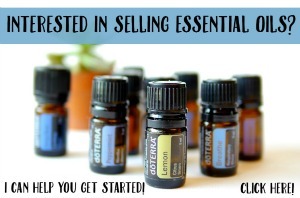 Hi, I have enjoyed your post as I am just about to start with Etsy. I do have a domain name but have done nothing with it yet but the plan is forming! 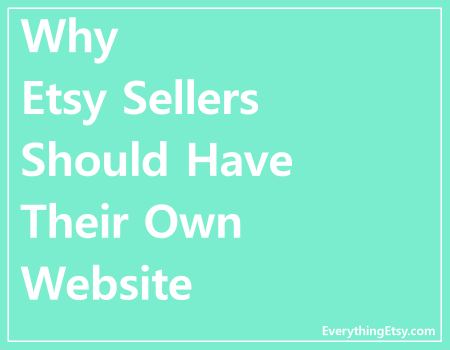 “Why Etsy Sellers Should Have Their Own Website”? I love that font, if you don’t mind sharing the name. I would appreciate it! I was looking through hostgator, and there is a hatchling, baby, and business plan. Would you suggest hatchling or baby? The only difference I see is that hatchling has 1 domain, and baby has unlimited. And also, I saw there was a way to have a wordpress account, right from hostgator It shows “visits” per month. Is that how many people visit your website? Should I choose that plan? Great information. Thanks for posting this. I had a website once. I couldn’t figure out how to integrate it with my Etsy store. In other words, if I sell something on my website do I have to physically go to Etsy and remove it from my store? Same thing other way around.